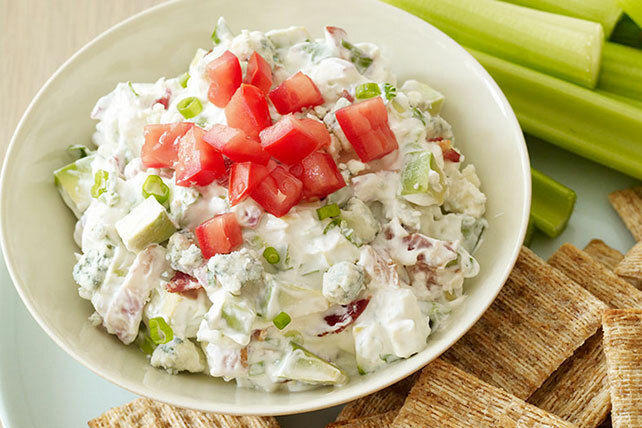 Inspired by Hollywood's famous Cobb salad, this dip is a must-try mix of blue cheese, avocado and bacon topped with tomatoes. Mix first 3 ingredients in medium bowl until blended. Stir in all remaining ingredients except tomatoes. Refrigerate 1 hour. Top with tomatoes before serving. Serve with celery sticks and your favorite crackers.